If there’s one day you can be guaranteed that children will be well entertained, it has to be Christmas day. Click through to reveal our favourite games and toys that are sure to be a hit with the kids! I’m yet to meet a child that doesn’t love a puzzle and what could be more special than a puzzle with the recipient’s name emblazoned for all to see? 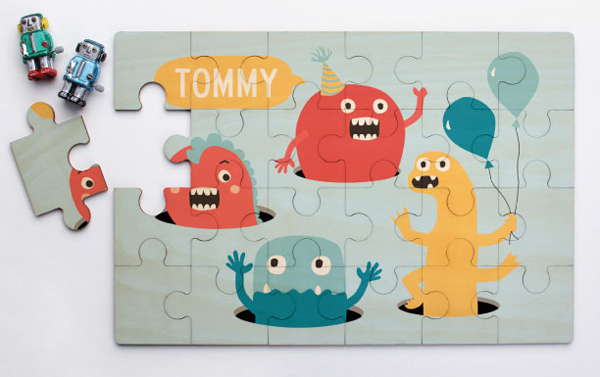 The Personalised Jigsaw Puzzle (pictured above priced from $29.95) combine fun graphic prints with your child’s name and comes in a felt pouch for safe keeping, or alternatively there is Tinyme’s famous Name Puzzle (priced $26.95). Both puzzles are available from Tinyme. If your little one has an ear for music or just loves to have his own acoustic jam session, he can do so with all his might with the Melody Mix toy. 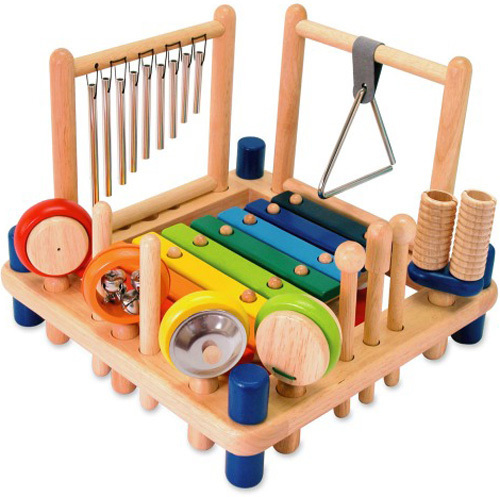 It’s a one-baby-band, that’s for sure, with ten removable musical instruments including xylophone, drum, castanet and maracas. Perfect for budding musicians, you can buy the Musical Melody toy, priced $89.95 from Lime Tree Kids. If you don’t need a whole band, but still want your toddler to get into the groove, the shake of a set of maracas is always a welcome sound. 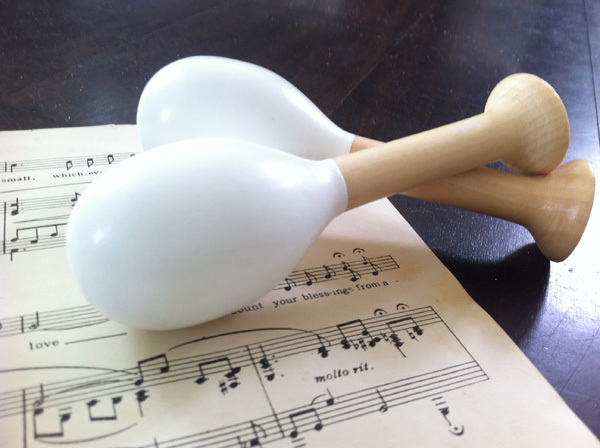 Teach rhythm and sound to little ones with a super sweet handcrafted Maraca Set such as the beauty pictured above. Dipped in white paint and made for little hands, they’re just the ticket for shaking up a musical storm. Maraca Set is priced $19.99 from Flower Child. Working on those balance skills has never been more fun than when riding a balance bike. 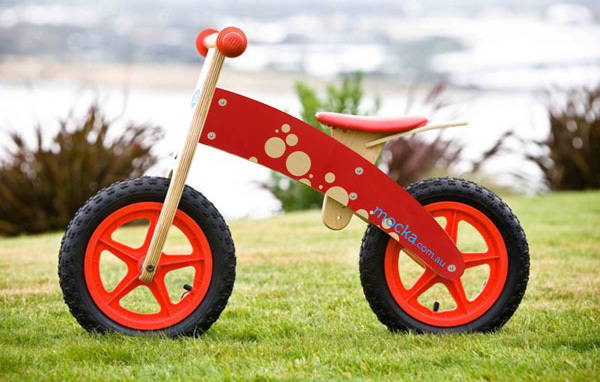 Mocka Balance Bikes are suitable for children aged two years (or eighteen months for a MINI model) and kids just can’t get enough of riding it. Made from sustainable birch wood for durability and pneumatic tyres for an ultra smooth ride, it doesn’t take long before children perfect the run and take off motion and then they’re on their way! See the whole collection of Balance Bikes, priced $79.95 at Mocka. A game full of good old fashioned fun and a healthy dose of competitiveness for the whole family, it’s the game of quoits. Be prepared for a sibling tournament or lots and lots of solo practicing to perfect a successful throw. 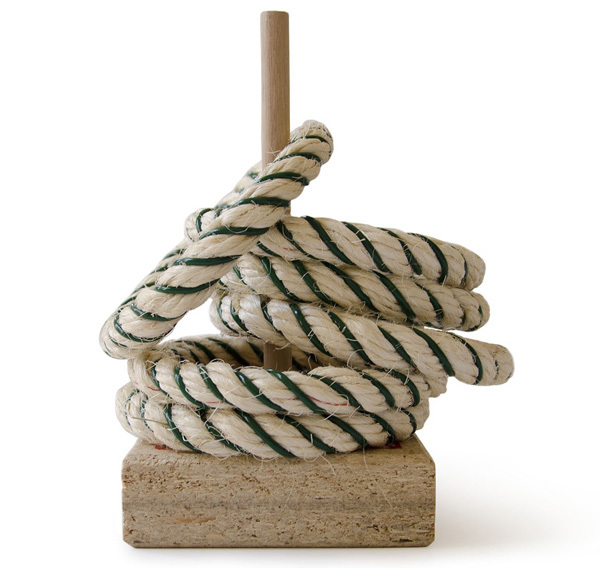 The Riversdale Junior Quoits set includes a sturdy base and peg, plus six rings to play with. Priced at $59, you can get your quoits set at Big Dreams. A puzzle, building blocks and space toy in one? You bet, with the Janod Magnetic Rocket. This present reaches for the stars as a toy to ignite the imagination and can be pulled apart in five wooden pieces then rebuilt over and over again! Magnets within the blocks make building the rocket easier for little hands and locks the pieces together for play. 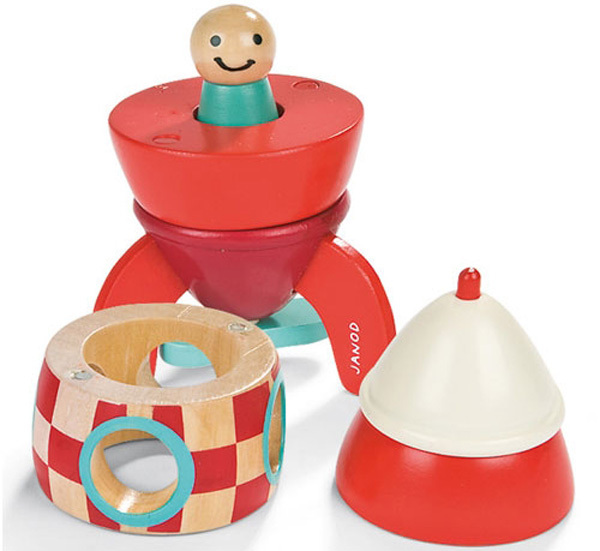 You can buy the Janod Magnetic Robot at Classic Baby, priced $32.90. One of my favourite gifts to give is the Mini Micro Scooter. An awesome ride on toy for toddlers and preschoolers (and beyond!) these scooters are appropriately sized for small children and have a thirty kilogram weight limit, so can be ridden for quite some time before outgrown. Kids soon learn how to stop with the back break and veer left and right and before long they’re scooting with confidence. Once they get the hang of it, you’ll have to run to keep up! 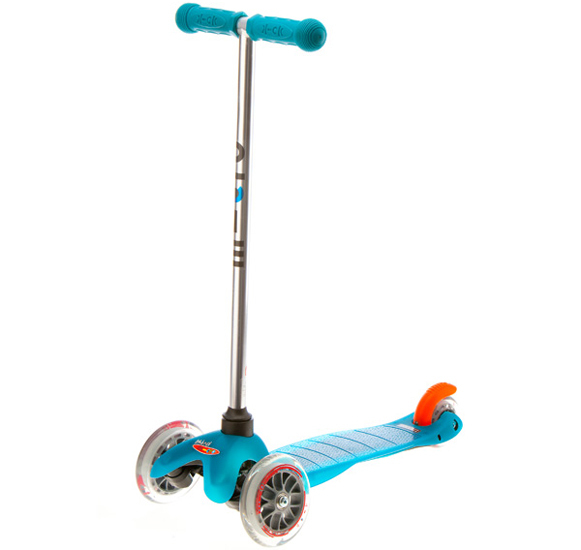 Available in seven colours, you can purchase the Mini Micro Scooter for $115 from Honeybee Toys. 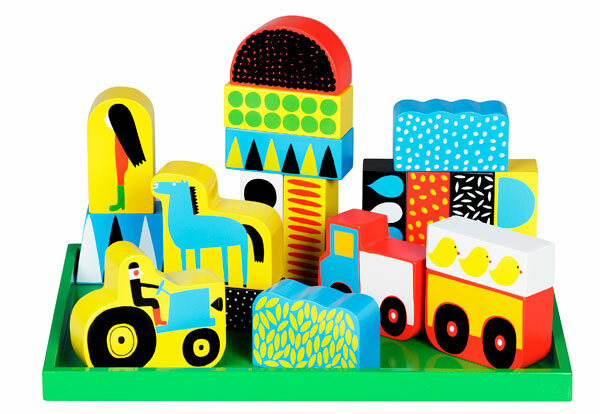 We always admire Marimekko for their use of bold patterns and colours and these blocks are no exception. The set depicts a busy working farm scene using blocks beautifully painted with tractors, chickens, trucks and of course a farmer or two! Ratti Blocks are priced $87 from Marimekko. Possibly one of the cutest first instruments I ever did see, My First Piano by Schoenhut is a darling gift indeed! 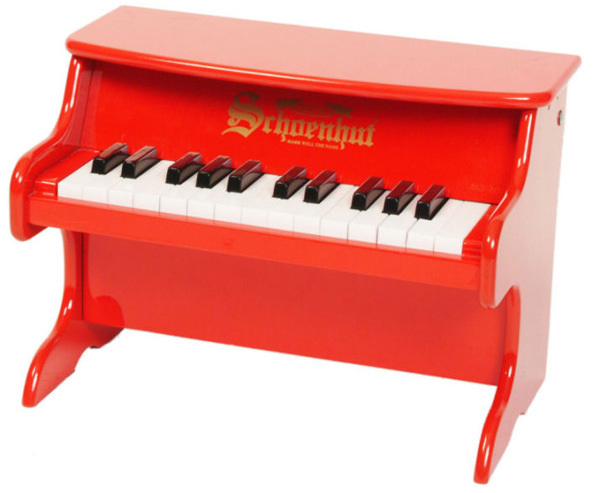 In beautiful brick red, this piano packs a statement with its stylish looks and melodic sounding piano keys. Twenty-five piano keys sized appropriately for little hands and fingers are the perfect starting point for learning how to play the piano. For your very own My First Piano, priced $139.95, head to Little Sprout. If you have a little one with energy to burn you can’t go past a Bop Along Buddy. A modern version of the 70s space hopper, Bop Along Buddies are inflatable characters to bounce along on all day long, which is fabulous for children’s balance skills and keeping active. Suitable for children aged up to seven and eight, there’s a character for everyone – even a Bop Along Buddy Rufus the Reindeer! Bop Along Buddies are priced $39.95 and available from Bop Along Buddies. Stay tuned for another Babyology Christmas Gift Guide tomorrow.